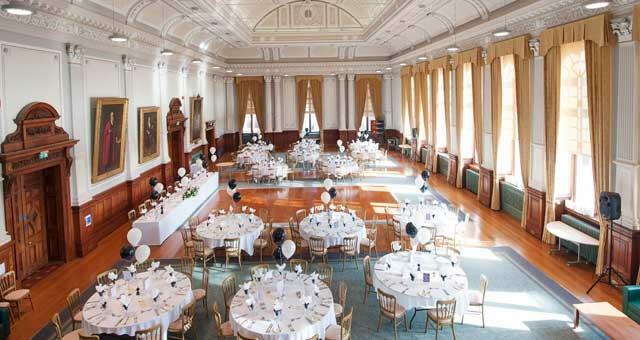 Wedding Receptions at Great Yarmouth Town Hall01493 846125work Wedding Reception VenueBuilt in 1882 with the Assembly Room being the focal point for grand parties and ceremonial events, today the Town Hall is a superb venue for a wedding breakfast or reception. 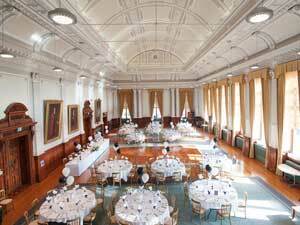 Choose from our five civic rooms for your wedding ceremony, civil ceremony or reception. All rooms are decorated to a high standard with grand Victorian ceilings. Range of styles and capacities, catering/bar options, equipment and entertainment available. Disabled access & natural daylight to all rooms. Grand Assembly Room has bar facility and dance floor area. Built in 1882 with the Assembly Room being the focal point for grand parties and ceremonial events, today the Town Hall is a superb venue for a wedding breakfast or reception.